New Jersey’s Sports Betting operators touched $40 million in July. Sports betting operators handled over $40m in wagered bets in July, but only generated $3.8m in revenue. It was the first full month sports bets took place in NJ, and the final results were not as expected, and for a good reason. During the last 2 weeks of June, sports betting operators brought in $3.4 million in revenue and mainly because of the soccer World Cup. So July’s numbers were not impressive when compared MOM. Furthermore, only 3 licensed operators took bets in June. Which, was a short month for sports betting in NJ because the new law didn’t go into effect until the 11th. So the numbers for July don’t meet the expectations that many people hoped for. But August will reflect a change experts say! Let’s be honest, July is a hot month in New Jersey! It’s summer vacation, folks are traveling and doing other midsummer things. Also, sports are not generally a hot topic in July. Unless its beach sports, which no one can bet on yet! So, it looks like we’ll have to wait until September and October once the seasonality stops affecting the revenue. And experts say that the NFL opening day kick-off on September 6th will undoubtedly have a positive impact on the figures. Because we all know that football is the most bet on sport in the States. What’s more is that by then, more online casinos will offer a sports betting app! So, it’ll be a lot more convenient to bet on the Defending champions, Philadelphia Eagles vs. Atlanta Falcons on September 6th. It’s also worth mentioning that, Bally’s, Resorts & Harrah’s were not accepting bets in July. 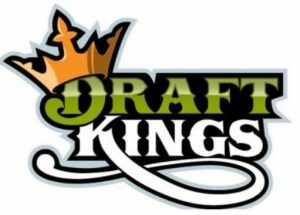 With more places taking bets in August and September, including DraftKings app. We certainly expect a slight increase for August, but prepare yourselves for September then we’ll see the full impact of the legalization of Sports betting in New Jersey!